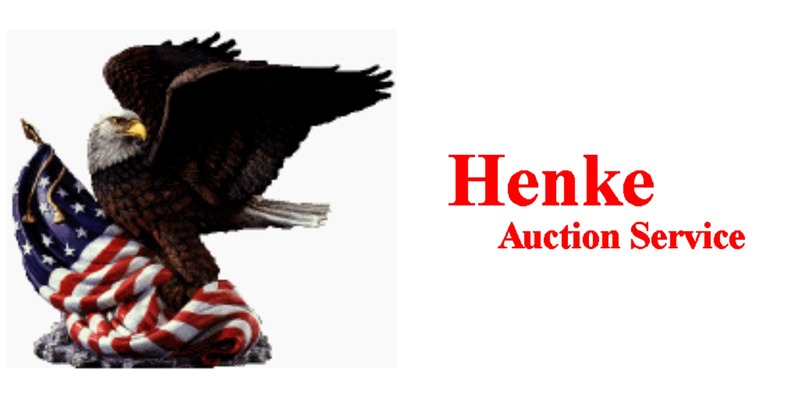 Henke Auction Service – Once you experience one of our auctions, you'll keep coming back for more! Richard is the auctioneer at a client’s event. Henke Auction Service was born in the 1950s when a young Richard, discovered the excitement that comes from a great auction. On a bright and sunny day, his family made history at the Kansas City Stockyards when their short-horn Angus steers topped the Markets. It was so unusual, the family found themselves, and their steers, in the news. 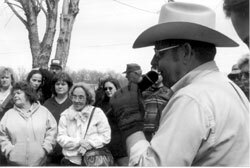 From that moment on, he remembered the excitement of the crowds’ and the booming voice of the auctioneer and the dream of owning his own auction service slowly churned in his thoughts. Richard, his wife, Sharon and their children, Doug and Dana worked hard to fulfill Richard’s vision of what an auction service should be like. So much so that this family-run business is the top-choice among sellers; and buyers from all over mid-Missouri jump at the chance to attend the business’ auctions. As auctioneers, Richard and Doug, bring enthusiasm and excitement to any item they are selling whether it’s a family home, a farm, a gun collection, antique furniture- you name it; they’ve sold it! 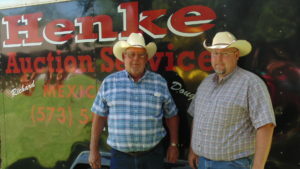 Henke Auction Service holds auctions for real estate, farms, farm machinery, and household items. The customer service is top-notch for buyers and sellers! As a silent reminder of the day that started this journey, Richard keeps a framed photo on his desk of his family at the Kansas City stockyards that day. You can be confident that your experience at a Henke Auction Service event will keep you coming back for more!